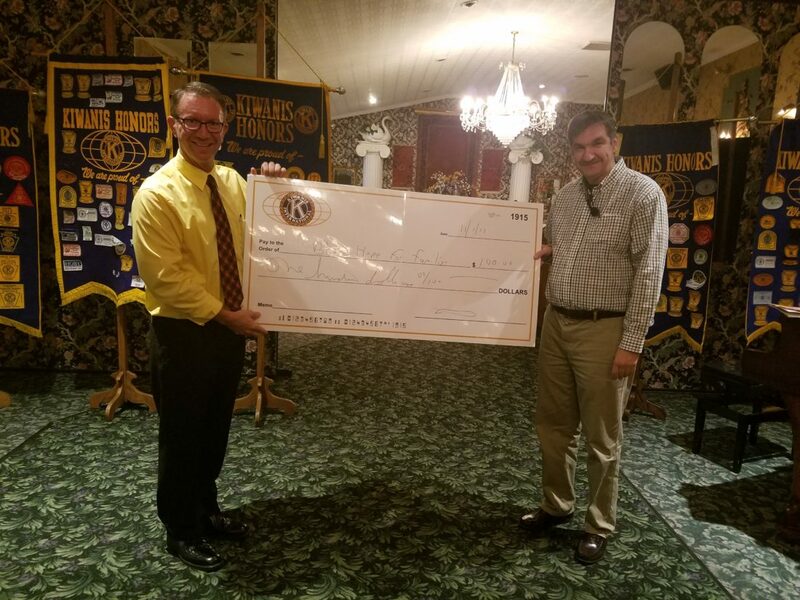 Courtesy photo Dave Scott (right), president of the Kiwanis Club of Altoona, presents Doug Sloey, with a check for $100 at a recent club meeting. 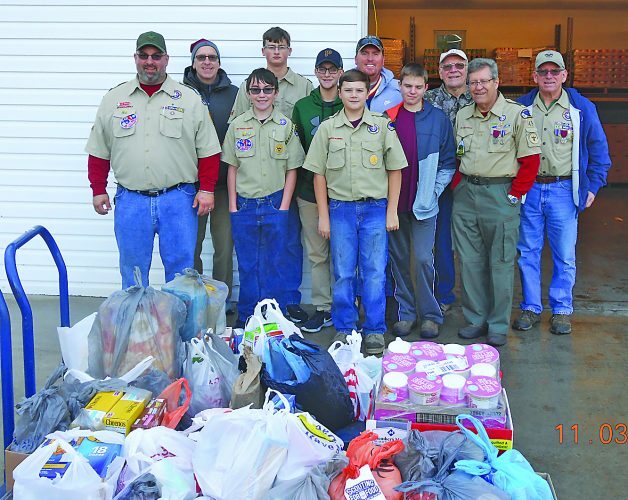 The Kiwanis Club of Altoona is committed to helping local children. Blair Hope for Families provides the items and experiences to children in foster care that are not provided for through the financial stipend system offered to host families. The Kiwanis Club of Altoona meets at 12:15 p.m. Wednesdays at The Calvin House, Duncansville. Guests are welcome. Altoona Women’s Connection will meet at noon Jan. 10 at The Blairmont Club, Larch Street, Hollidaysburg. All area women are invited to attend. The soloist and speaker will be Lorraine Serra. Reservations can be made by calling Mary Lou at 944-5438. The regular meeting of Subchapter 8306 of the American Federation of State, County and Municipal Employees will meet at 1:30 p.m. Wednesday at the Patchway Road office. The executive board will meet at 12:30 p.m. If school is closed due to inclement weather, the meeting also is canceled. The Altoona Duplicate Bridge Club has announced the winners of its recent games. Dec. 20 — North/South: Jean Keller and Jean Green, first; Barbara Marinak and JoEllen Gehl, second; Tudor Trifan and Akbar Sammii, third; Carol Moyer and Ted Shade, fourth. East/West: Neil Wallace and Jim McKeown, first; John Regan and Lydia Kachur, second; Marcia Dravis and Dave Dravis and Peggy Gutshall and Barb Vander Jagt, tied for third. Dec. 21 — Helen Gorsuch and Barbara Marinak, first; Summer Rifkah and Thana Moussa, second; Jean Keller and Jean Green, third; Irving Seltzer and Ed McCauley, fourth; Cheryl Wherry and Carol Moyer, fifth. 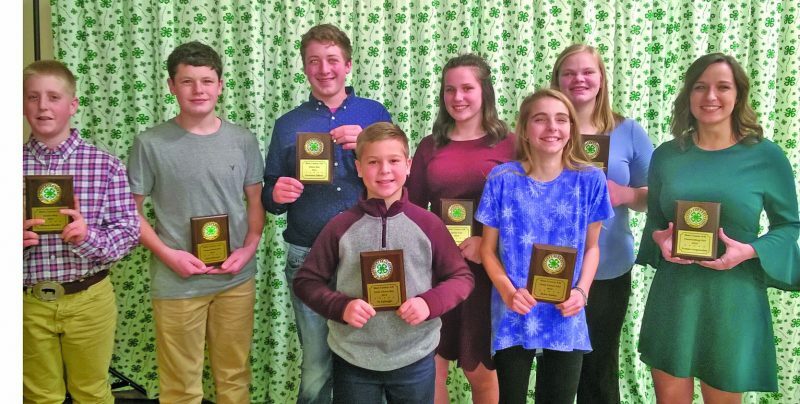 Games are open to the public and are held on 6 p.m. Wednesdays and 12:30 p.m. Thursdays at the American Legion Social Hall in Hollidaysburg. .com or call Bruce Baldwin at 237-5653.